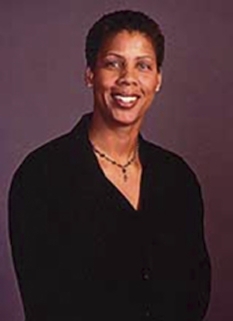 Former basketball star and coach, Cheryl Miller was born on January 3, 1964 in Riverside, California. She is currently a sideline reporter for NBA games on TNT having worked as a sports commentator for ABC, TBS and ESPN as well. Cheryl Miller was also head coach and General Manager of the WNBA's Phoenix Mercury. In 1995, Cheryl Miller was enshrined in the Basketball Hall of Fame in Springfield, Massachusetts. In 1999, she was inducted into the inaugural class of the Women's Basketball Hall of Fame, located in Knoxville, Tennessee. Cheryl Miller is the sister of retired National Basketball Association star Reggie Miller, and former Major League Baseball catcher Darrell Miller. Miller played at Riverside Polytechnic High School (1978–1982) where she was a four-year letter winner and led her team to a 132-4 record. She was awarded the Dial Award for the national high-school scholar-athlete of the year in 1981. She was the first player, male or female, to be named an All-American by Parade magazine four times. Averaging 32.8 points and 15.0 rebounds a game, Miller was Street & Smith's national High School Player of the Year in both 1981 and 1982. During her senior year she scored 105 points in a game against Norte Vista High School. At the University of Southern California (USC), the 6 ft. 2 in. (1.87 m) Miller played the forward position. She was a four-year letter winner, scored 3,018 career points (fifth all-time in NCAA history), and was a four-time All-American. Her career rebounding mark of 1,534 ranks her third all-time in NCAA history. Miller was named Naismith College Player of the Year three times and earned the Wade Trophy (Player of the Year) once. At USC, Miller led the Trojans to a 112-20 record and NCAA titles in 1983 and 1984 and was named NCAA Tournament MVP both years. Miller's teammates included Cynthia Cooper, two-time WNBA MVP; Pam McGee, 1984 Olympian and All-American, and Paula McGee, 1982 and 1983 All-American. Miller was coached by Linda K. Sharp, one of college basketball's most winning coaches. During her senior season, Miller picked up her third Naismith Award, the Broderick Award as the Female College Basketball Player of the Year. Miller still holds numerous Trojan career records, including points (3,018, 23.6 ppg), rebounds (1,534, 12.0 rpg), field goals made (1,159), free throws made (700), games played (128), and steals (462). 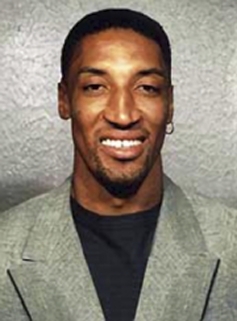 Miller's previous Trojan records in assists (414) was almost doubled by Rhonda Windham (735); Lisa Leslie topped her blocked shot record by one (321). Cheryl Miller led the U.S. team to the gold medal at the 1984 Summer Olympics in Los Angeles and was also part of the gold medal teams at the 1983 Pan American Games in Caracas, Venezuela and 1986 Goodwill Games in Moscow. In 1986, Cheryl Miller was nominated for the James E. Sullivan Award, and in that same year, USC retired her #31 jersey. In 1993 she took the head coaching job at her alma mater, USC, after the university chose to fire coach Marianne Stanley rather than pay her a salary comparable to her male counterpart, George Raveling. 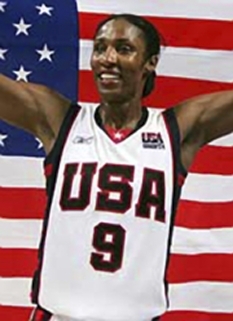 After graduating from USC in 1986, she was drafted by several professional basketball leagues, including the United States Basketball League, a men's league. However, in the late 1980s, Miller suffered knee injuries that prevented her from continuing her playing career. From 1986 to 1991, she worked as an assistant coach at USC and as a television sports commentator. 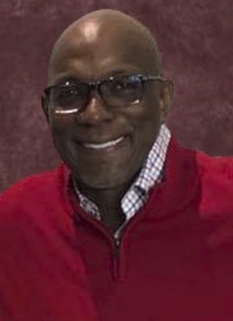 Miller was named Head Coach at USC and coached two seasons (1993-95). Her teams had a combined 44-14 record and went to the NCAA tournament both seasons, making a Regional Final once. 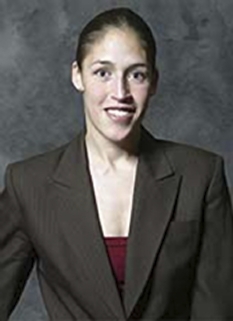 She then coached for four seasons (1997-2000) with the Phoenix Mercury of the WNBA, where she also served as General Manager. DISCLAIMER: PFP Sports Talent Agency does not claim to represent itself as the exclusive agent for Cheryl Miller. PFP Sports Talent Agency is a booking agency that represents organizations seeking to hire pro athletes and sports personalities such as Cheryl Miller for speaking engagements, personal appearances, product endorsements and corporate entertainment. Fees on this website are estimates and are intended only as a guideline. Exact fees are determined by a number of factors, including the location of event, the talent’s schedule, requested duties and supply and demand. PFP Sports Talent Agency makes no guarantees to the accuracy of information found on this website and does not warrant that any information or representations contained on this website will be accurate or free from errors. We are often asked how can I find out who is Cheryl Miller's agent? To find Cheryl Miller appearance fees and booking agent details, you can contact the agent, representative or manager through PFP Sports Talent Agency for speaking fee costs and availability. PFP Sports Talent Agency can help your company choose the ideal sports personality for your next marketing campaign. To hire Cheryl Miller for an appearance, speaking event or endorsement, contact Cheryl Miller's booking agent for more information.